Thursdays: 6:30 p.m to 9:30 p.m. -- Colony Pub & Grille, 2670 W. 8th St. The Colony Club House Band, a great jazz piano trio with Howard Hamme-piano, Carl Alanakian-drums and Harry Jacobson-bass. Saturdays: 6:00 p.m. to 9:00 p.m. -- 814, the revived and expanded downtown venue at 1325 State St.. Alternating live bands are: the V Band, with Dave VanAmburg, Rick Cass, Dave Blaetz and Phil Popotnik, and JD Jazz with guitarist Frank Singer, drummer/vocalist/harmonicat Joe Dorris and guests. On Dec. 17, a special program at 814 will feature Frank Singer with Bruce Johnstone and bass guitarist Joe Frisina. 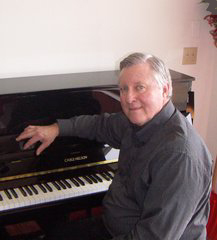 Johnstone, who recently retired as Director of Jazz Studies at SUNY Fredonia, brings a worldwide reputation as a virtuoso baritone saxophonist, and a performance history which include stints as soloist with the Maynard Ferguson and the Woody Herman Orchestra, and work with many other notable jazz legends. He is a master musician. Dave Callaghan Quartet -- Wegman's Cafeteria, Peach Street Store. 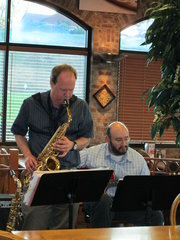 Frii., Jan. 27, Fri., Feb.17 and Fri., March 17, all from 6:00 til 9:00 p.m.
Dave Callaghan, saxophones; Joe Frisina, guitar. Tues., Feb. 28, from 6:00 til 7:30 p.m. Shrove Tuesday Celebration, St. John's Lutheran Church, 2216 Peach St. Thurs., April 20, 4:30 - 5:15 p.m. PMEA Annual Conference, Erie Bayfront Convention Center. 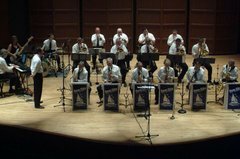 Contact us at 814/923-4101 or rwtqveta12191@hotmail.com if you would like to have your jazz event added to our listings.